RIDGE Mountain Academy has announced its inaugural semester beginning January 9, 2015 in Whitefish, Montana. 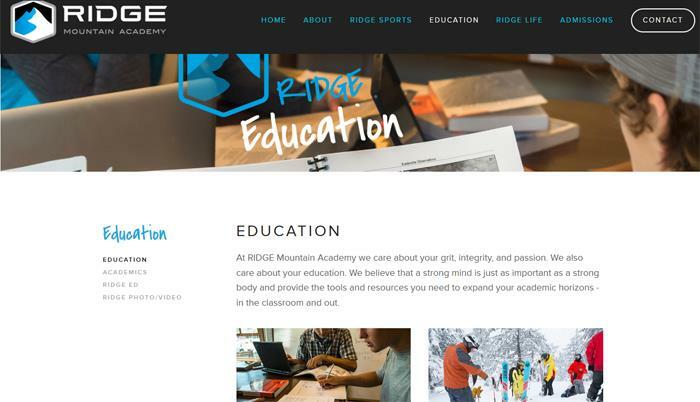 RIDGE is a campus-based enrichment program that provides tailored coaching in mountain sports and physical training for young men and women to develop mentally, physically, academically, and socially prior to entering college. The RIDGE semester program combines mountain sports with academics, internships, health and nutrition, and life skills for students ages 17 to 20 who are interested in strengthening their training, forging new skills, and honing their passions. RIDGE offers a time to step back and reflect, to gain perspective on personal values and goals, and to gain life experience. Whitefish was recently named one of the top mountain towns in North America by Travel + Leisure magazine and was also featured by USA Today, CNN, and National Geographic Traveler. Whitefish Mountain Resort consistently ranks as one of the top ski and snowboard resorts in North America. O’Donnell has a diverse background as both a professional athlete and businessman. He is a professional skier, a former international freeride competitor, and was team manager for Obermeyer. He previously served as director of admissions at AIM House in Boulder, Colorado and holds a double master’s degree in business administration and global studies from the University of Denver. The RIDGE philosophy is based on the premise that the mental and physical challenges of this unique program where action sports meet the backcountry will transfer into self-exploration and new focus in this important phase prior to entering college. Taking time out can promote discovery of one’s own passions that were not previously realized. Recent studies gathered by the American Gap Association show that students who take a gap year have better GPA's than their non-gap year peers and have greater satisfaction at future jobs. While health, fitness, and nutrition are a part of the daily curriculum, the program also integrates college credit courses and internships with Whitefish Mountain Resort and local businesses. In addition to courses in mountain science, avalanche safety, and wilderness medicine, RIDGE offers training and coaching in backcountry skiing and snowboarding, Nordic skiing, ice climbing, and more. Each student athlete creates a customized curriculum based on individual needs, and one-on-one academic tutoring is available. For more information, visit www.RIDGEacademy.com.